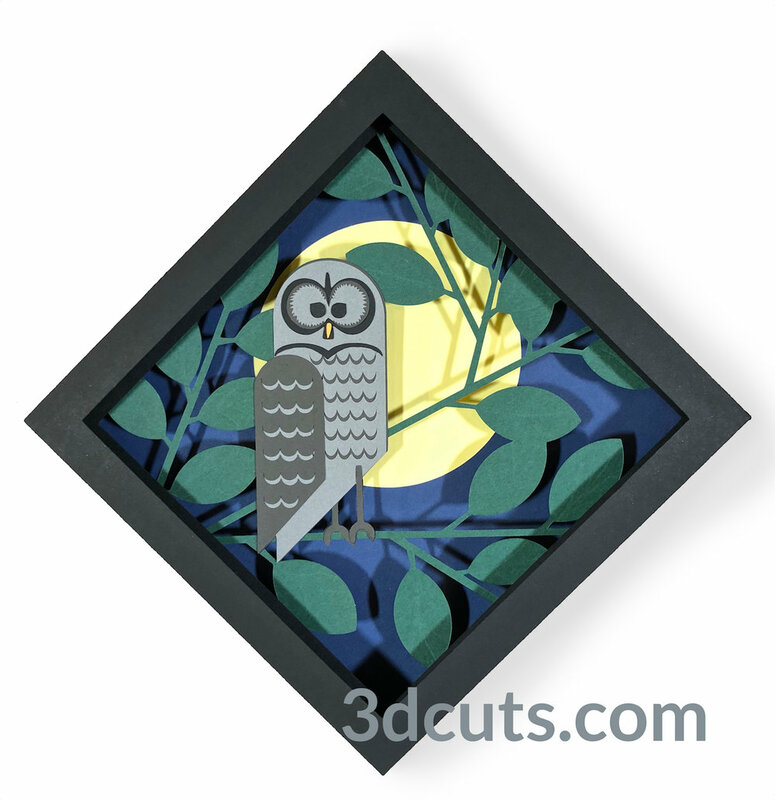 Owls! Whoooooooo is making these? Valentine’s crafting is done. Time to explore a new theme. I have been wanting to do owls for a long time and so I did! 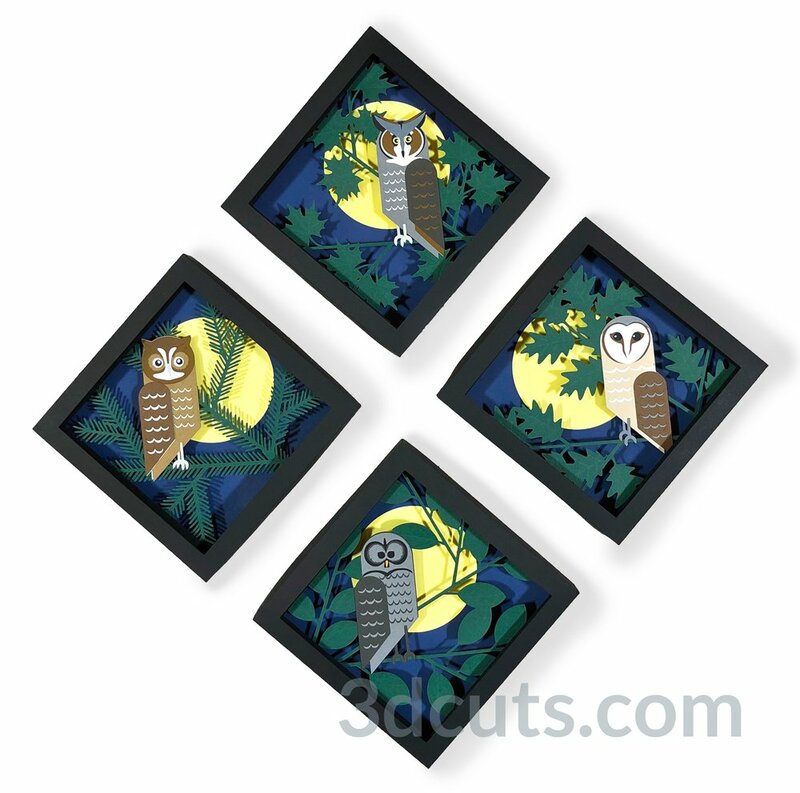 I just completed a matching set of 4 owl shadow boxes in easy to assemble three-ayered format. 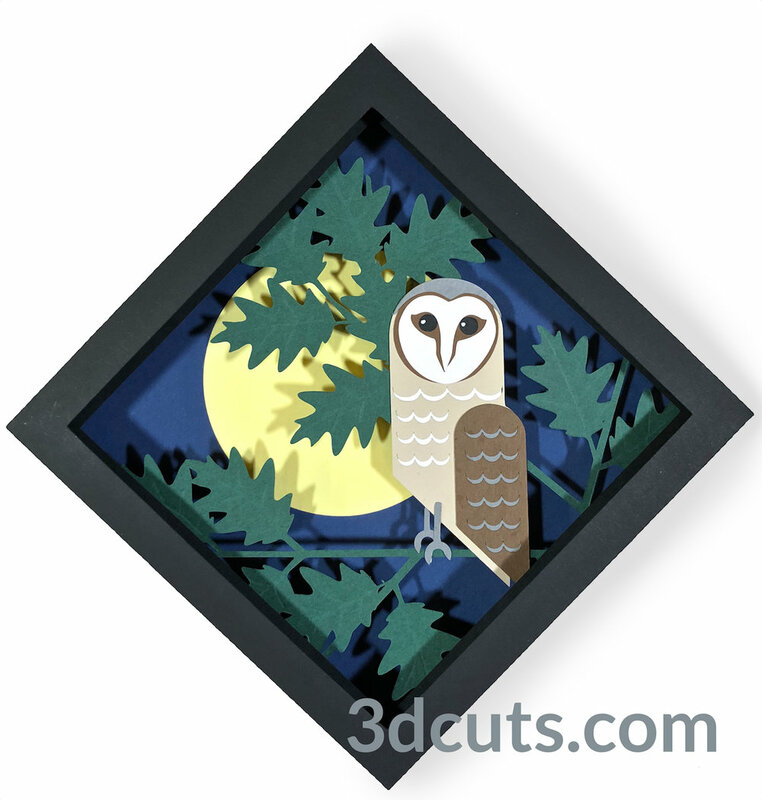 This group represents four owls that are native to Connecticut - the Great Horned Owl, Barn Owl, Barred Owl and Screech Owl. And here are some close-up views of each. Which is your favorite? My Zig Zag Village concept seems to be a natural for extensions - although this time it isn’t a village. 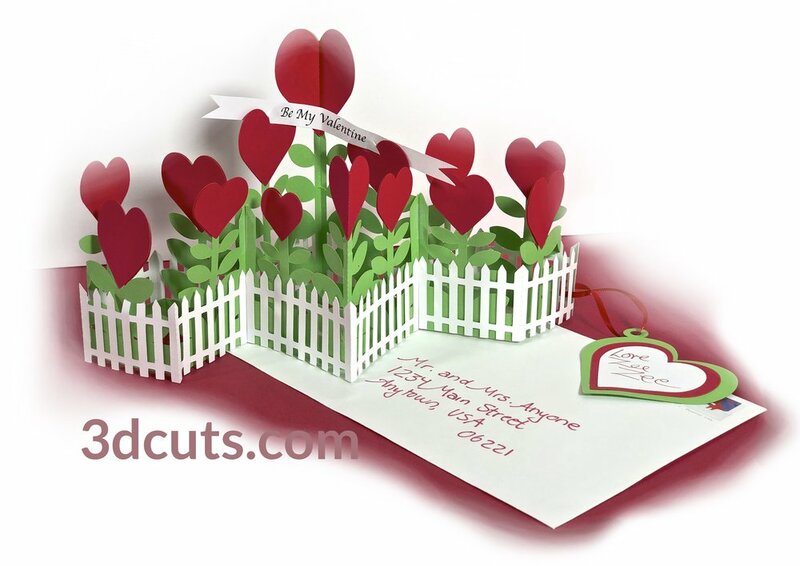 For Valentine’s Day I have designed a new Valentine Garden filled with blooming hearts surrounded by a charming picket fence. This card folds flat for storage or mailing. 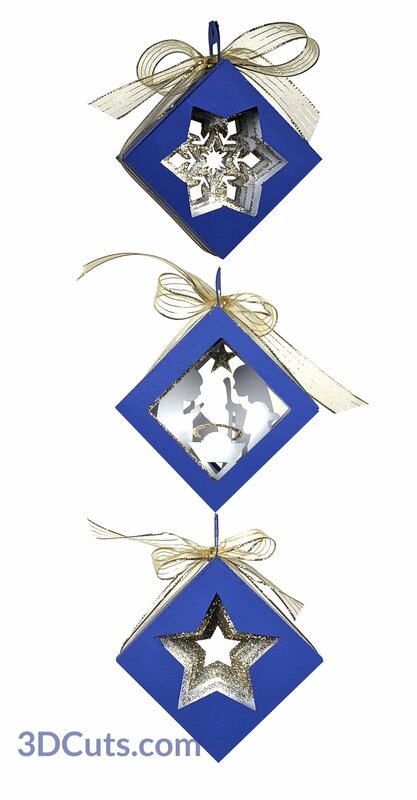 I will fit in a standard 6 x 9” booklet envelope and can be popped open and used as holiday decor by your Valentine. And I have made a video tutorial of the assembly process. This card slides together in a way similar to Zig Zag Village but this file is much simpler and quicker to make. 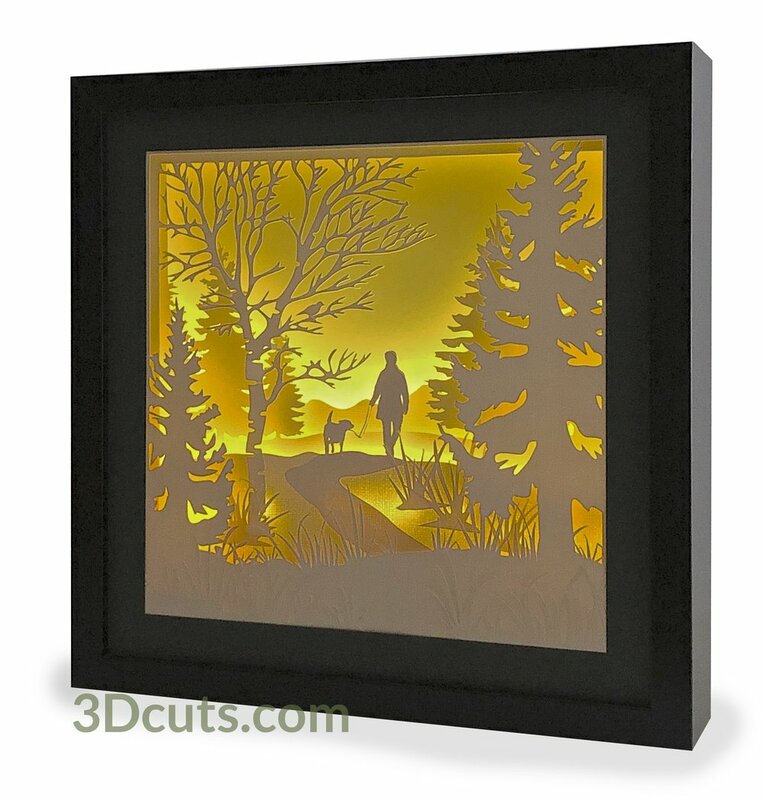 The cutting takes 4 8.5 x 11” pieces of card stock - 1 in red, 2 in green and 1 in white. I am sure you can think of a few people that would love to receive this card. It is Christmas Card Time! We crafters know that Christmas starts early for us. My design for cards needs to be finalized by November 1. I them start cutting and making so the cards are hopefully set before Thanksgiving. I seldom succeed, But I am doing well this year. The design is done! 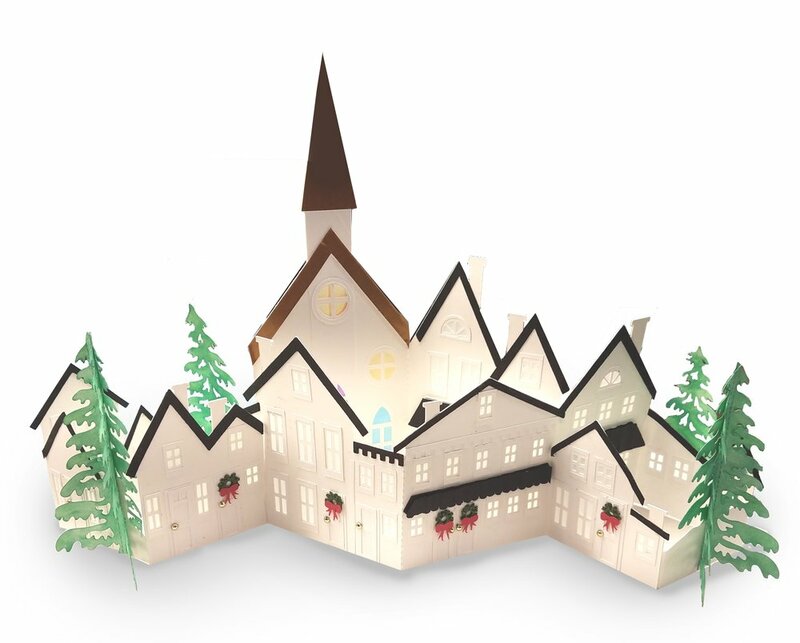 Here is a new Merry Christmas pop-up design featuring a funky font. This card is from a full 8.5 x 11” sheet of card stock and when folded in half fits perfectly in a 6” x 9” standard booklet envelope. I would love to see your card ideas! I now need to make 40 more! I love it when you folks send me photos of your finished projects. 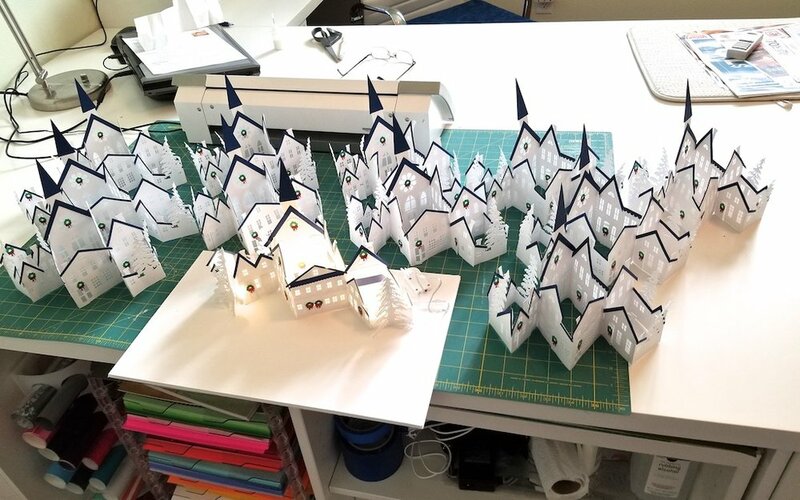 Amy D sent along this beautiful shot of her Zig Zag Village. 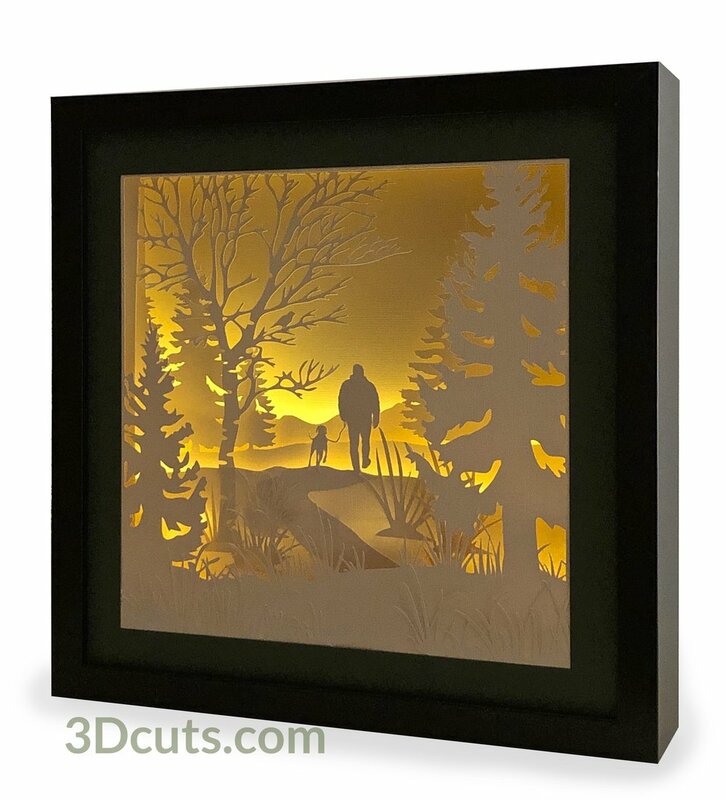 If you have completed any of my projects please share them with me by sending them along to marji@3dcuts.com or posting them to the various crafting facebook groups.